Climax can offer service and repairs on a wide range of equipment in both residential and commercial premises. We also offer contracted preventative maintenance plans. The efficiency of any air conditioning system; home, office and commercial, is vitality dependent on regular maintenance, clean filters, correct gas pressures and well-maintained ductwork. Climax Air Conditioning offers regular routine service and preventive maintenance schedules for all types air conditioning, ventilation and chiller equipment. In between your regular services, you can help to maintain the efficiency of your system by regularly cleaning filters. *Inc GST. Preventative maintenance service only. Location and system type may vary price. Residential applications only. 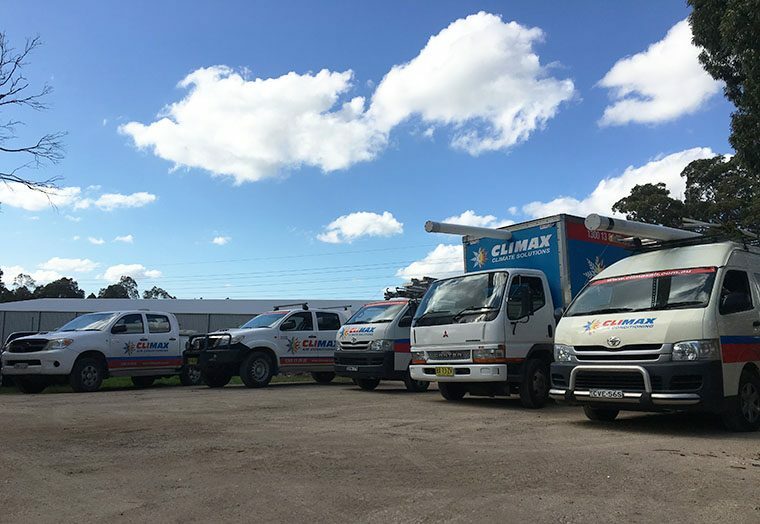 Climax Air Conditioning’s dedicated Service Team provides scheduled preventative service and maintenance to Schools, Healthcare and Aged Care Facilities, Government premises, Clubs and Businesses across the Illawarra and Shoalhaven. Air Conditioning and Mechanical Services are a major investment for any commercial application and it is important that this investment is properly cared for to ensure long term efficient operation. Our professional approach to preventative maintenance ensures that services are scheduled and delivered with the customer in mind. Our service team can provide asset audits, condition reports and budget planning to help you manage your HVAC maintenance to minimise the risk of unexpected breakdowns and extend the life cycle of your equipment. A HVAC Service and Maintenance agreement with Climax Air Conditioning includes scheduled inspections and maintenance of your Heating, Ventilation and Air Conditioning systems. Exclusive access to our 24/7 support, manned by HVAC technicians with extensive experience and product knowledge across all HVAC systems, including Chillers, central plants and refrigeration-based systems. These measures ensure the efficient running of your systems, can help to extend the life cycle and assist with savings on energy costs. Programmed maintenance scheduling allows us to come in and assess the efficiencies of all your HVAC systems to ensure you have the longest useful life on your equipment and that your facility is running at optimal levels all year round.